All of these hats are handmade and my own designs. 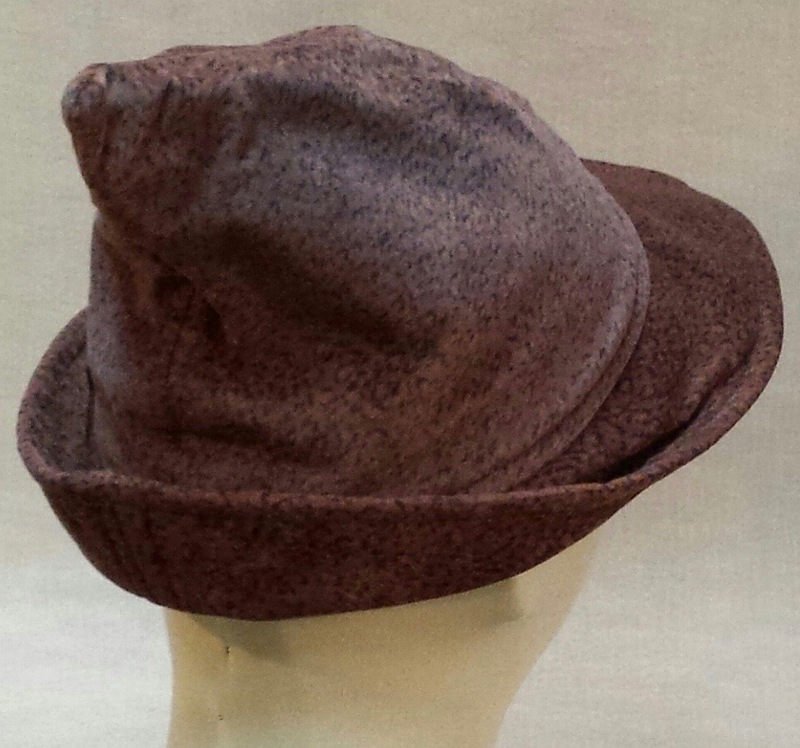 The wizard hats and faerie fedoras are made of upholstery weight suede, fully lined, and brims are reinforced with sturdy pellon interfacing to hold their shape. Rain, snow, hail, or total water submersion will not damage the 100 % polyester fabrics. Nylon thread is used for resistance to moisture rot and sunlight fading. Hats are the first, most visible accessory. And FUN to wear! 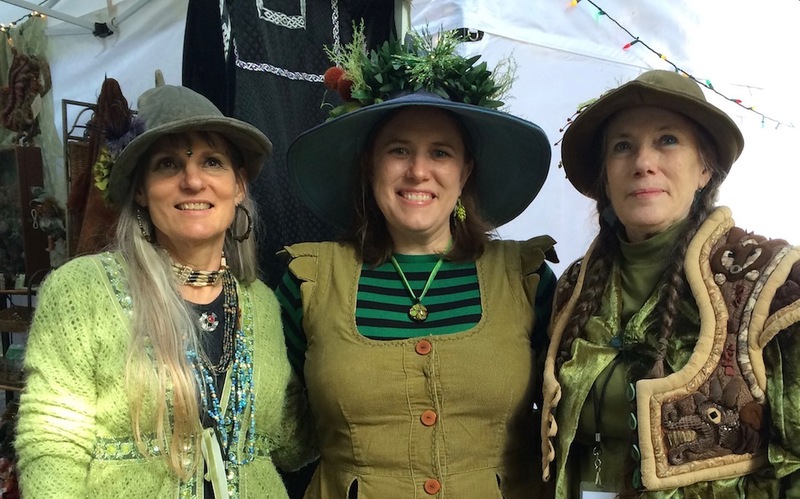 These will bring to life your elf, forest faerie, wizard, or sorceress costume for the next Festival, cosplay gathering, or Ren Faire. To measure the circumference of your head, wrap a flexible measuring tape around your head above your ears and eyebrows, or use a string for this and then measure its length. Allow more room if you have a lot of thick hair. Hand Clean Only with a sponge or cloth and soap. It can be rinsed in the sink and air dried. Do not machine wash or dry (this would be unduly hard on it). Sparkle animal print suede, khaki colored fleece lining, with wire along the center of the leaf from point to stem, comfortable light weight.